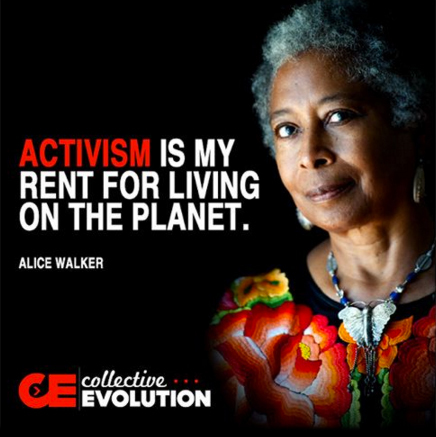 Activism, to me and I imagine to many of you, is one of the best things one can do – it’s “[…] My rent for living on the planet.” Together, we are shaping the world to be a better place. But activism, especially direct action (since the legal repercussions can be devastating) is not only a defying response to the norms but is also an act of privilege. A privilege many of us don’t have. Often times we see our comrades in action but little do we know that it can take one thing to go South for a black activist to end up in jail or possibly even killed in case of altercation with the police (even non-violent interactions): blacks are less than 13% of the U.S. population, and yet they are 31% of all fatal police shooting victims, and 39% of those killed by police weren’t attacking. No matter if you’re a teenager or an adult, white supremacy is merciless. One wrong move and you will never see your non-American friend (at least not in this country): undocumented immigrants are deported when detained (the local police will direct your case to ICE), and if you’re a green card holder, you’re not in a much better position either! You too can, be deported. If you’re “lucky”, deportation won’t occur, but the government will make it nearly impossible for you to transition to a permanent green card. If you’re waiting on citizenship, great chances are that it will be denied, forcing you to spend all your savings on appeals (if you have any). If an activist with disability is charged, they can face hell in jail or prison: often times prisoners with disability are limited by and dependent on officers and other inmates. There’s no doubt the prison system has become a new kind of mental institution, except that it’s so easy to dismiss the countless claims from those who have mental illness. And if we really want to dig deeper, let’s combine all those situations with people who suffer multiple types of oppression, like black trans women, who can be sent to male prisons and on top of experiencing transphobia, also have to deal with racism, sexual assault and unnecessary solitary confinement; immigrants with disability are often the forgotten, and if you add low-income to the equation… Yes, classism also plays a major factor in determining “who’s eligible” and “who is not” to do direct action! Consider this: activists who can afford legal fees and arrests have more prestige. Consider this: the questions asked to evaluate who’s released and who isn’t are particularly discriminatory – they tend to focus on your economic and social status, and prior arrests. Consider this: those who have money, get out of jail, those who don’t, stay. Bail is a declaration of classism. “Right. But direct action has been successfully implemented by other social justice issues and they were all minorities! So, you can’t say direct action is for privileged people!” Yes. The Indian Independence movement, Civil Rights, LGBTQ+, were all represented by well, their respective group. But even then, those movements overlooked minorities within their own circle! Gandhi included no women in his original group of 70 satyagraha. This created a deep resentment from many female freedom fighters who put their bodies in line. How about the intersectionality theory which was developed by black feminists who were extremely dissatisfied with how women were silenced during the Civil Rights movement. And let’s not forget how the white cis men took all the credit for the Stonewall Riots when in fact it was trans women of color who lead them! That being said, the Animal Rights (AR) and Environmental Justice movements are particularly different from the rest. They are the first two movements in History which are not represented and led by the victims themselves. “Our views are all, without exception, projections of ourselves onto nonhuman animals,” and “only the animal rights movement and the environmental movement attack both capital and labor”, writes Phelps in Changing the Game. Both movements are mostly led by white men, despite the fact that, for example, the animal rights movement is composed of about 80% women, yet we are silenced and undervalued while men are overglorified. Can I say this again? The AR movement is composed of about 80% women! The Environmental Justice movement is no different about who leads: “Traditional environmentalists are typically middle-class whites who are broadly concerned with preservation of ecosystems and individual species, reduction of environmental harm caused by industrialization, and the protection of human health and aesthetic values,” while minorities pay close attention to “discriminatory siting decisions that place an undue environmental burden on specific communities based on race, class, or some other distinguishing characteristic,” writes Bullard. This is why we have to pay particular attention to the power dynamics our activists face and learn from the mistakes of previous social justice movements. “So, what do we do about it? Forget direct action? 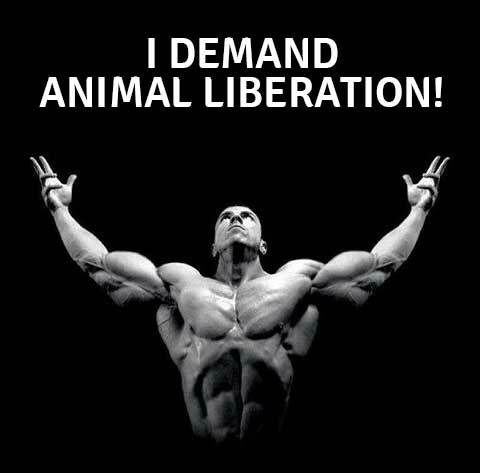 Let the white, cis men lead the movement towards animal liberation?” Absolutely not! On the contrary, direct action is extremely empowering to us, minorities, precisely because we are socially disadvantaged. When we take the lead and disrupt speciesism, we are also challenging other systems of oppression like patriarchy, white supremacy, etc. We have to take direct action! “So what can we do about it in practice?” This is something I think about quite often and I can share a few of the solutions our group came up with. 1-) Whites hold political and social privilege; the police won’t be too aggressive with them. 2-) Two “petite” women most likely won’t pose a threat to the police. 1-) Be aware. Be conscious of the fact that police will deal with more force towards minorities. 2-) Listen. During the planning phase and during the action itself it’s very important that their voices are heard. The concerns of minorities are real. If minorities want to lay low, be understanding. If we are ready to face arrest, however, so be it! Getting arrested can also feel empowering to us, as long as it’s on our terms though. 3-) Take action. 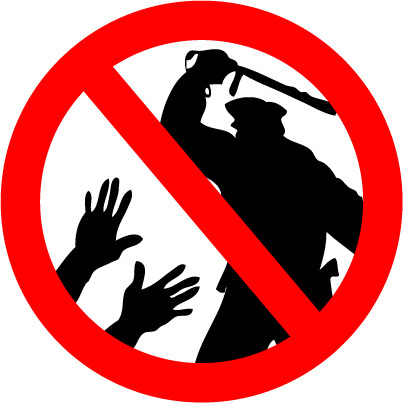 Develop a buddy system and be ready to aid anyone (minorities first) who has been singled out by the police and may be receiving more violent treatment than others. 4-) Snowball effect. Pay close attention to what you do individually and how your actions can compromise the entire group – you are not alone, you are the reflection of a collective. Losing your cool, having reactionary responses and doing things without communicating to the group can hurt the team and often times it’s those mistakes that media will use against us. 5-) Jail support. Collect your activists’ emergency contacts and information (are there health issues we need to know? Kids? Companion animals?). Having this information will help us track them through the system in case of arrest. Checking up on them periodically helps shift the power dynamics (slightly) to our favor: by being persistent we are showing that the people in custody are individuals and not just bodies. This process also helps them emotionally: knowing that there are fellow activists working on getting them out is reassuring. “But why is it so important that minorities feel empowered to do direct action? 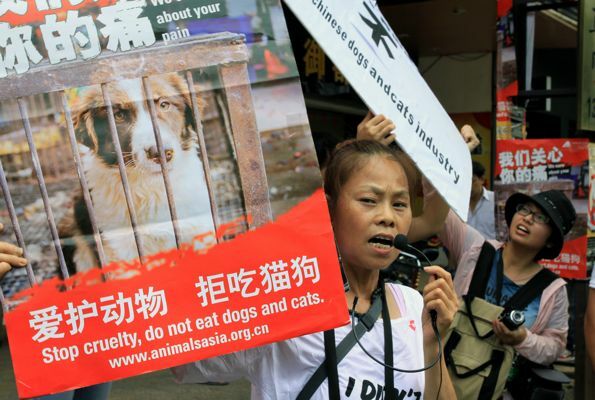 Isn’t the most important issue, well… non-human animals in this case?” Of course. But AR is unfortunately represented by human animals! Minorities make up a very powerful chunk of powerful people. We can convey oppression from our pores, tears and voice in a way that should never be undervalued or silenced. In a way that will inspire more minorities to grasp the systems of oppression that violently exploits non-human and human animals. We’ve spoken before about the importance of building bridges with other social justice movements but that will only happen when we become the voice of AR, when we build a safe space in our community, when we rise up for animals even stronger despite (and because of) our gender oppression, our physical abilities, our sexual orientation or gender identity, our skin color, our class or size! I have seen countless times activists who have no immigration stability put themselves first, risking arrest (which equals deportation) for animals way before any white American had the courage to do so. So many times have I seen people of color speak loud and so passionately challenging not only speciesism but also racism. And I can’t even begin to count the amount of times I’ve seen folks with disability rise up with so much more fire than many of the able-bodied folks. When I visited Mexico, I experienced many of those situations (hola compañerxs!). In Mexico very few people make a decent living – and they still direct the little they have for animals. There you can easily spend 2-3-4 hours in traffic to go to the equivalent of Downtown Manhattan to the Upper East side – and they still find time. 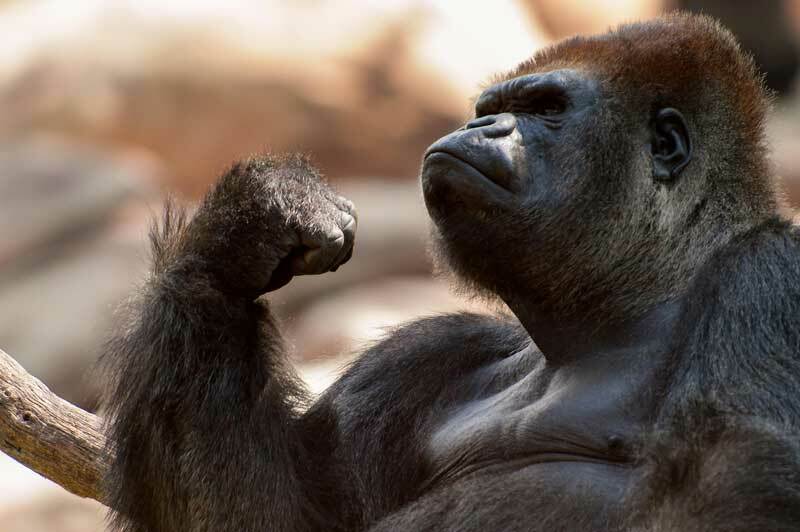 There, police can get away with so much violence – and they still speak strongly for animals. Homophobia, racism, and so many -isms are particularly present in Mexico – and those activists still challenged them. But this is not a competition of who does more and who does less. It’s about privilege check and it’s about working together. Many people of privilege in the AR movement may not realize it, but they fight speciesism while oppressing other activists. This is why it’s time we stop pretending we support minorities by simply not complying with oppressive behaviors. Non-participation in violence is not enough. We know for a fact that not participating in animal exploitation doesn’t do anything to bring animal liberation. So why the double standard when it comes to other forms of oppression? And when we sing “One struggle, one fight! Human freedom, animal rights!” let’s really mean it. We have to be unapologetic about anti-oppression. This is why we have to practice “anti” and not “pro”. We, minorities, have to own the animal rights movement and reclaim direct action! Today, direct action is for the privileged, tomorrow we claim it back – for the animals!